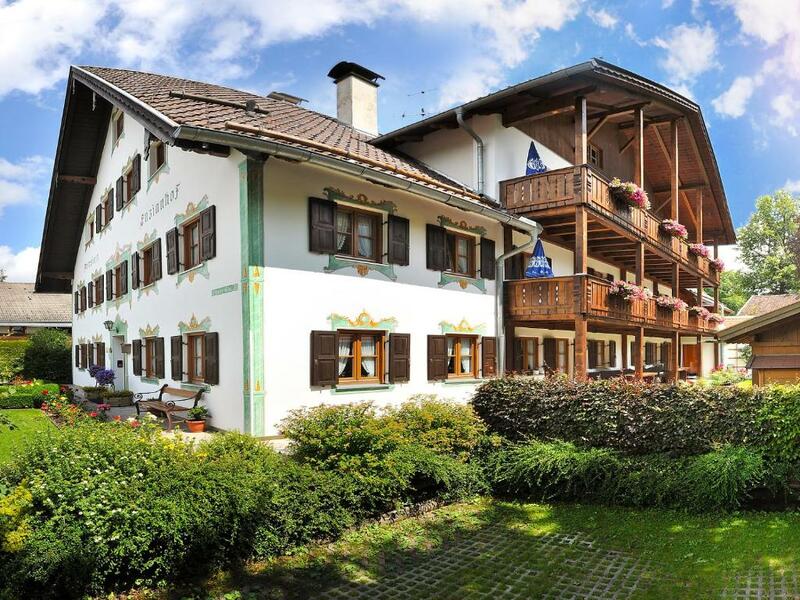 Lock in a great price for Gästehaus Enzianhof Hotel Garni – rated 9 by recent guests! Lovely home. Clean and historic. Breakfast wonderful. Location to downtown is great. 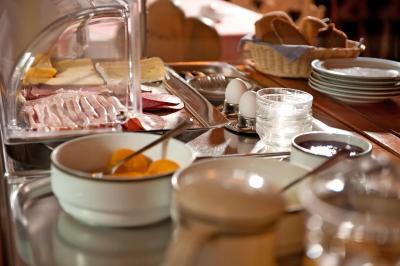 The breakfasts were lovely, with your choice of eggs, which is unusual enough on the continent. 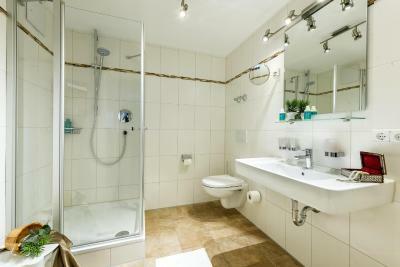 Very comfortable room with a large bathroom. Part of the Konigscard plan, which allows you free entry to many local cable cars and other attractions... Could save you about €300 easily. This whole town is straight out of a fairytale. You could stay in a dog house and enjoy it here. 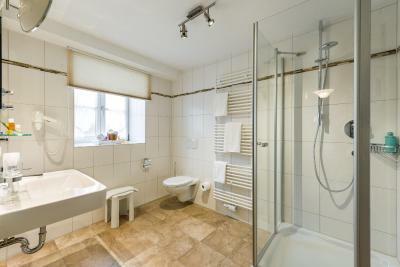 The bedroom and bathroom was spacious and very well appointed. The bedding consists of top quality natural materials which results in an excellent sleeping experience. 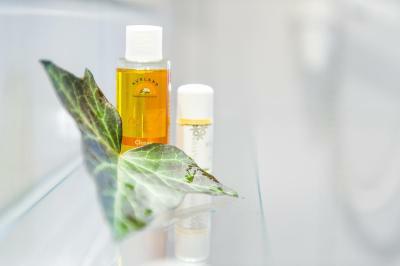 High quality natural materials are used throughout the Hotel. All around one of the best overall hospitality experiences. 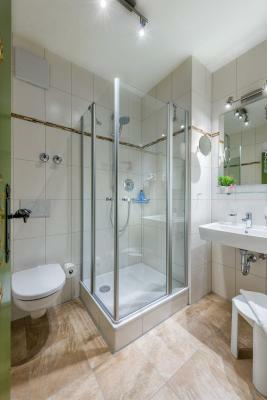 Room, bathroom (large space and very clean), terrace, personnel, breakfasts, location - really enjoyable stay! Really helpful personnel which cares of every aspect of your stay. Very nice, quiet and stylish hotel. Convenient room with decent size bathroom. 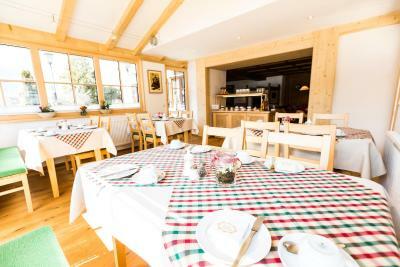 Tasty breakfasts with variety of local cheeses and homemade jams. Konigscard provided with many facilities in the area. 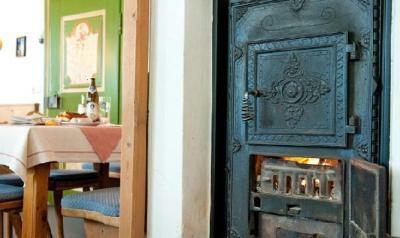 I really enjoyed breakfasts listening to the fire crackling in the background. the breakfast was nice and homey the staffs are super friendly. They give you a card when you check in that gives you free or discounted tickets to many activities (könnigskarte). Also free parking around the town. The two ladies from reception are very helpful and nice. 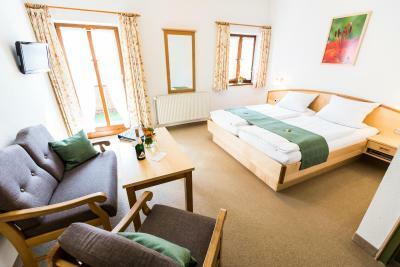 Gästehaus Enzianhof Hotel Garni This rating is a reflection of how the property compares to the industry standard when it comes to price, facilities and services available. It's based on a self-evaluation by the property. Use this rating to help choose your stay! 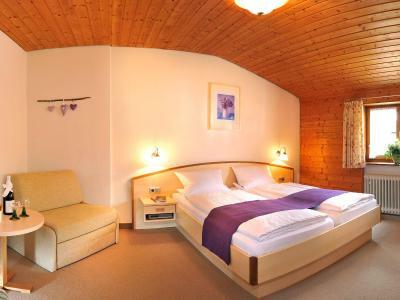 This guest house offers spacious nonsmoking rooms, spa facilities, a traditional Bavarian-style lounge and free private parking. 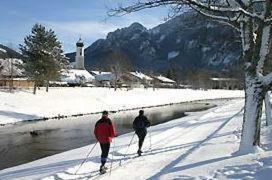 It is in the center of Oberammergau. 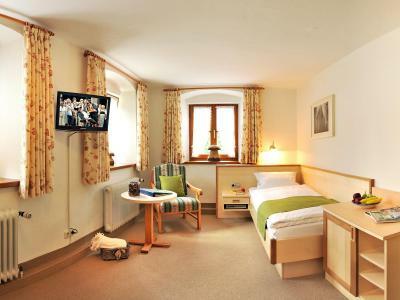 The large rooms of the Gästehaus Enzianhof Hotel Garni include a TV and a private bathroom. Some rooms have a balcony. 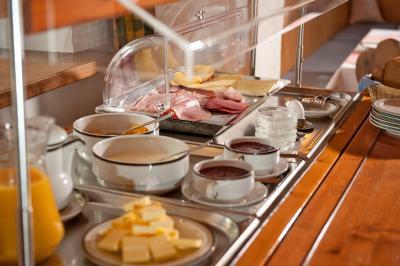 A buffet breakfast prepared with regional product is served at the Enzianhof each morning. 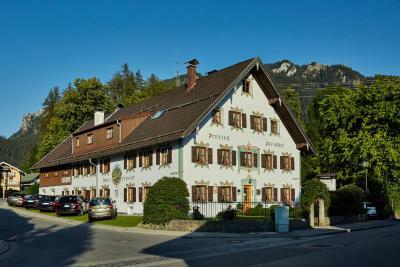 Guests will find a hot tub, infrared sauna and a selection of massages and Ayurvedic treatments at the Enzianhof’s spa. The hotel terrace is open during the summer. 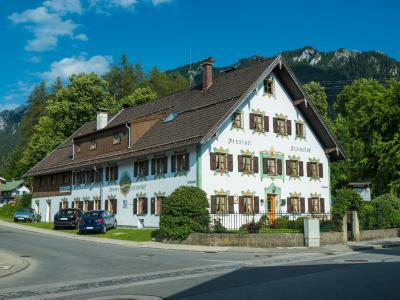 The Gästehaus Enzianhof Hotel Garni is a 10-minute walk from the festival theater where the Oberammergau Passion Play is held. 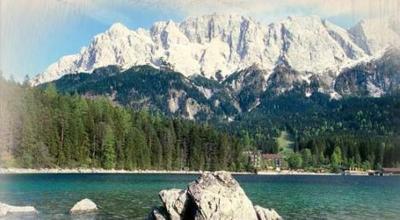 This is our guests' favorite part of Oberammergau, according to independent reviews. 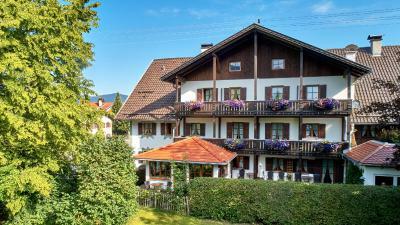 This property is also rated for the best value in Oberammergau! Guests are getting more for their money when compared to other properties in this city. 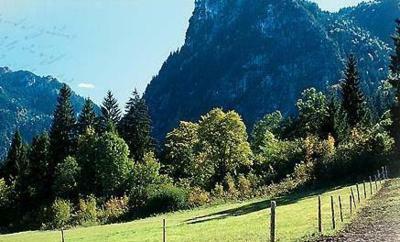 뀐 Located in the top-rated area in Oberammergau, this property has an excellent location score of 8.9! 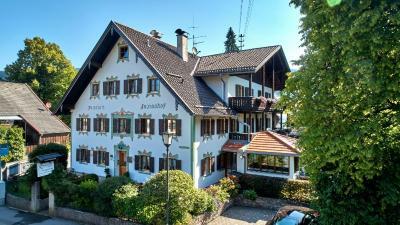 When would you like to stay at Gästehaus Enzianhof Hotel Garni? 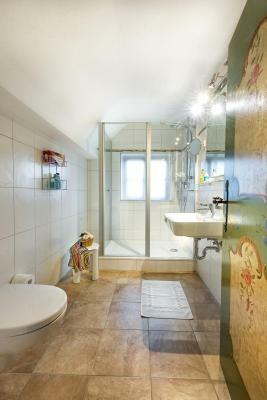 Traditional-style room with a private bathroom and satellite TV. 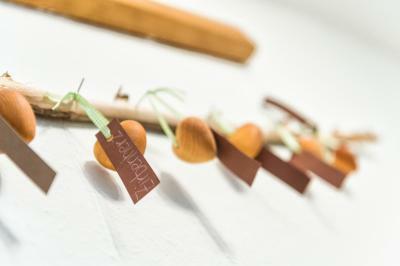 House Rules Gästehaus Enzianhof Hotel Garni takes special requests – add in the next step! 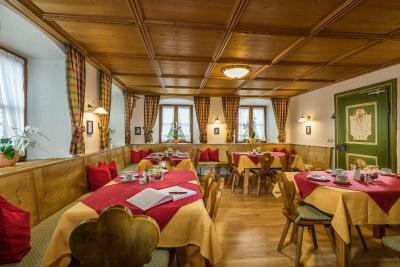 Gästehaus Enzianhof Hotel Garni accepts these cards and reserves the right to temporarily hold an amount prior to arrival. 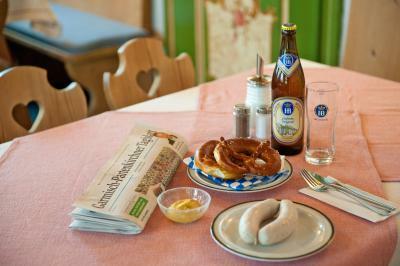 Guests receive a free Königscard, which offers free entry to museums, cable cars and other local attractions. Internet wark not properly all the time. Just Germany TV channels (one was CNN). Breakfast was delicious, from local farmers. Suggestion - coffee corner should have access to water - it would be more comfortable. Terrible isolation between the floors. Upstair's guests dictate your day, when to wake up and when to go to sleep (even if you ask them to be more careful, you can hear and feel vibrations from higher floors as well). It’s not a negative point because it is clearly stated in their room description, but they charge 7.50 for an extra bed. We requested a cot and it was there when we arrived. Nevertheless, when the check came, I realized the cot was 10 euros extra per day, not 7.50 as stated. In any case, everything else was perfect. Parking was somewhat limited. I suggest parking when you check in and walking to dinner so you don’t lose your spot. So comfortable. Nice staff. Beautiful property. Two wonderfull and very polite ladies, smilling all the time, taking care of everything starting with the tasty breakfast and ending with the clean and shinny rooms. The self service small bar, a great ideea. Hope to last... depending very much on the clients seriosity. 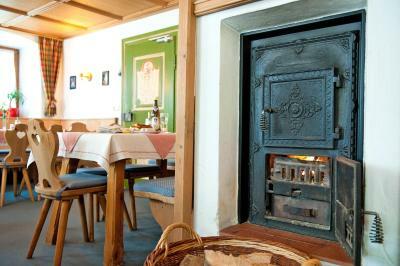 It was obvious to us from the outset that the people running this Gasthof have been in this business a long time. Everything ran like clockwork. Our room and en suite, both recently and classily reappointed, were spotlessly clean, and breakfast was a veritable feast. All staff were friendly and efficient. We were on the ground floor with our windows facing the car park and a local road, so wasn't the best view! Because I was here alone I missed ..... my family. Everything was great. It was so calm and quiet I was suprised.